If the narrated sections are so important, why don't we get see them? 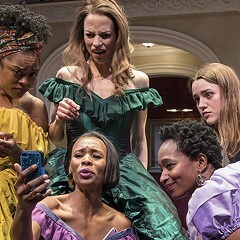 Through 8/18: Wed-Fri 7:30 PM, Sat-Sun 2 and 7:30 PM, alternate Tue 7:30 PM, alternate Thu 2 PM, Lookingglass Theatre Company, Water Tower Water Works, 821 N. Michigan, 312-337-0665, lookingglasstheatre.org, $40-$75. Late in the action, when a missile hits the hull of Captain Nemo's submarine, the Nautilus, the lights turn red, dramatic music kicks up in the background, and the actors onstage respond to the impact in slow motion. It's one of a handful or more of moments that seem off about this Lookingglass production. 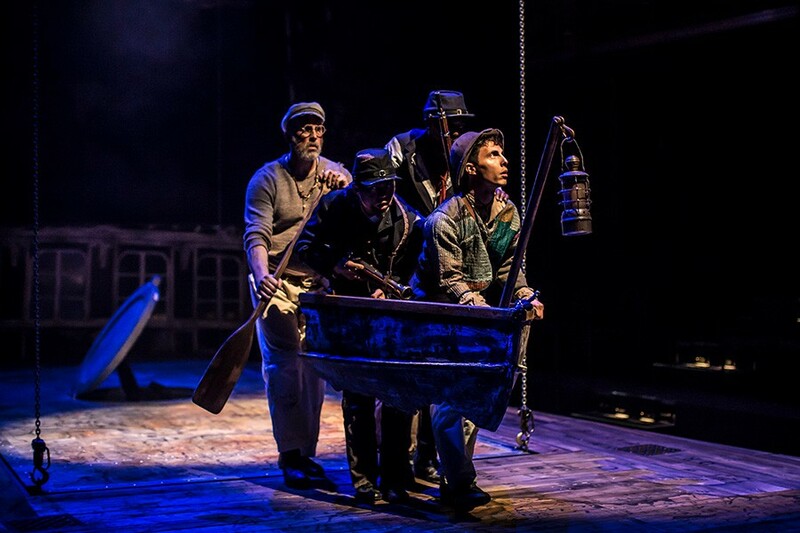 The sheer scale of the story undermines its ambitions as a work of theater. Playwrights David Kersnar and Althos Low, who adapted the script from Jules Verne's novel, steer the action through Victorian drawing rooms, the ocean floor, and a deserted island, transitioning so abruptly from one locale to the next that the prerecorded voice of Professor Aronnax (Kasey Foster) has to keep piping in to remind us where we are. Foster, who lavishes aplomb onto a cardboard role, does more narrating than speaking, but if these dull passages from the diary of her underwater voyage are so compelling, why not make actual scenes out of them? Cutting corners saves room for tricks. 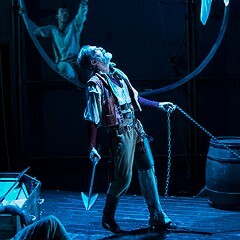 It's not that puppets of sharks and a giant squid are doomed to be tacky by default, but the clash is palpable: the play's hefty, universalizing scope can't sustain itself on sleights of hand. 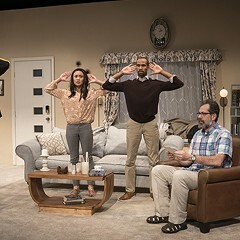 Actor Kareem Bandealy’s playwriting debut overreaches. The enchanting Christmas pantomime is masterfully crafted for play and wonder.